Has anyone got a picture of a south west giant? because i was thinking of buying one. Also how big do they grow? But i believe it has had a LOT of sun to get that red. Most are green, but mostly all of them have big traps, 4-5cm if they are grown correctly. They grow much faster than the standard kind too. Hi Dave, that is not THE south west giant Tom was asking about. 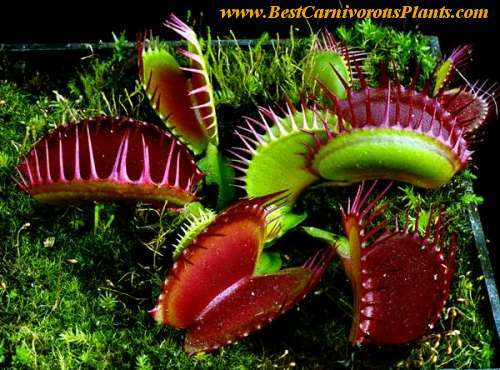 It refers to an unofficially named clone that South West Carnivorous Plants offers in the UK. Tom, I have a picture of it and I will email you it tomoorow directly. It is a strong grower for sure, but only produces a blushes red type of trap on long petioles. Dave, I believe the picture you posted is the 'big mouth'. By Jaws in forum Introduce Yourself! By Skruffs in forum Introduce Yourself! Needed: Dionaea South West Giant!